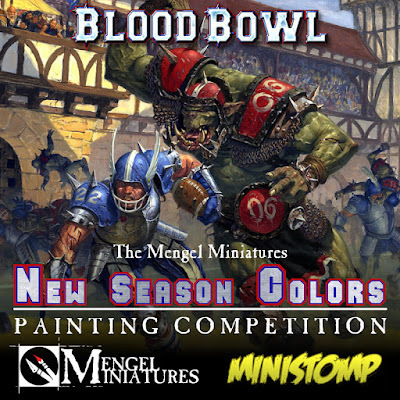 Mengel Miniatures: Blood Bowl Painting Competition! 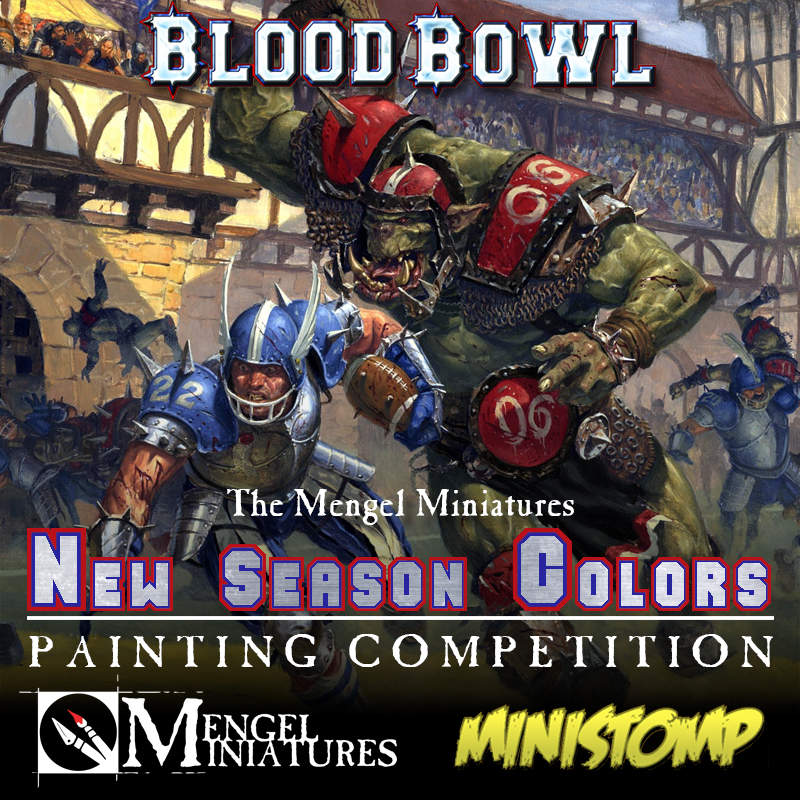 In the grand tradition of Mengel Miniatures we're celebrating the release of the newest version of Blood Bowl in the only way we know how, with a painting competition! So grab your team of choice, some paints and let's get started! I know I was excited by the release of Blood Bowl, so excited in fact that I dropped my painting project at the time and painted up the entire Human team in the Marauders colors. When it came time for the Orcs I decided to try my hand at a team of my own making. 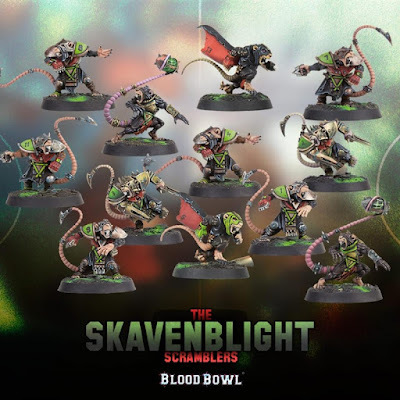 Now there are even more teams coming out with Skaven releasing the same day and Dwarfs surely close behind. To help celebrate the excitement that everyone is probably feeling at the new edition of Blood Bowl I have decided to put together a painting competition with help from Ministomp! The first place winner will get the new Skaven Blood Bowl team or the Dwarf team if you can wait until they are released and the People's Choice winner will get a copy of the new Deathzone Season One book courtesy of Ministomp and of course all of the praise and honor that comes along with it. There is only one category to enter into for this competition. - You may only enter a single model. 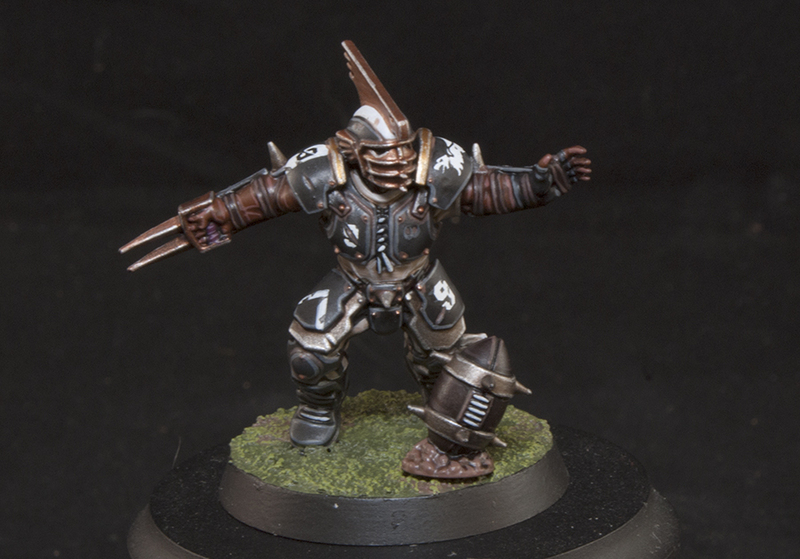 - The model must be one of the NEW Blood Bowl miniatures. That means it must be one of the Human, Orc, Skaven, or Dwarf (if they release during the time this competition is running) plastic minis. - You can paint them in any team colors, either an official team or a team of your own making. - Conversions are allowed as long as the base mini is somewhat recognizable and is one of the new minis listed above. - All entries must be sent to tylerm@mengelminiatures.com by the 18th of December. This gives you three weeks to paint it. - Posting of your mini on Twitter, Facebook and the TGA Community is highly encouraged. - There will be a third, second, and first place winner, as well as a People's Choice winner chosen through Twitter, Facebook and a Poll on this site. - The First Place winner will receive the new Skaven Blood Bowl team or the Dwarf Blood Bowl team once they are released (winner's choice) courtesy of Ministomp. - The People's Choice winner will receive the new Deathzone Season One book also courtesy of Ministomp. - People's Choice voting will be from the 19th - 20th with all of the winners announced on the 21st. Good luck to everyone and I look forward to seeing some amazing Blood Bowl models!